A more expansive view: a blog about encounters with Presbyterians and seminaries: What ARE We Waiting For? 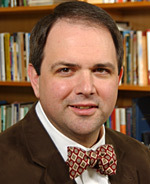 Lee Hinson-Hasty is coordinator for theological education and seminary relations in the General Assembly Mission Council of the Presbyterian Church (U.S.A.). Through his work Lee hopes to capture and share a more expansive view of theological education, of church leadership and of vocational discernment as he sees through the eyes of some exciting Presbyterians in and related to seminaries. Several years ago Oprah Winfrey conducted a poll to see how long it took U.S. citizens to get irritated while waiting in line at fast food restaurants. The average time was not more than 15 seconds. Patience is described as a virtue but impatience seems to be the practice. Advent is a time of waiting. We light candles and open window one by one as we journey through is anticipatory season. What do we anticipate? What are we waiting for? We are waiting for the celebration of the Incarnation/ the nativity of Jesus Christ. We know where we are going but we’re often ready to get there before it's time. We're ready to open the presents, sing the Christmas carols, take the holiday from work and school, and even watch the "Christmas" specials. Walking a labyrinth may be one spiritual discipline worth doing during Advent. A labyrinth is an enclosed path having only one route that winds in toward a center point where it makes a decisive turn to wander out again. Unlike a maze, there are no tricks or dead ends in a labyrinth. Based on the circle, the universal symbol of unity and wholeness, a labyrinth is a path and spiritual tool for growth, discernment, and prayer. I've seen people try to run and rush through a labyrinth, but not without missing a turn or two. The path is a deliberate, intentional, and not easily anticipated. "to provide opportunities for clergy to examine significant areas of their lives (Health, Vocation, Spiritual, and Financial) and to discern prayerfully the future direction of their vocation as they respond to God's call in a lifelong process of practice and transformation." I spent some time at CREDO walking both outdoor and indoor labyrinths at the Duncan Conference Center. Both are replicas of the labyrinth in Notre Dame Cathedral in Chartres, France and pictured here. One thing became clear to me at CREDO that walking the labyrinths helped me discern. Advent waiting may not so much be about us waiting on God as it is about God waiting on us. This discernment reminded me of a sermon my partner in life, the Rev. Dr. Elizabeth Hinson-Hasty preached at Louisville Seminary a few years ago that she titled. "Is God Waiting on Us?" God's waiting on us is an Advent message and, by the grace of God, a Christmas message too! It is a message when I think of the gifted leaders being formed at our Presbyterian seminaries being told there will be fewer places that can go and serve and/or funds available to start new churches. I wonder when we will respond to God with our thanksgiving and hope and vision. What is God waiting on you to do/be? What is God waiting on us to do/be? May this be our Advent question and prayer. May we be the Advent actors and not so much the audience. NOW is the time to act. What ARE we waiting for? Excellent thoughts Lee! Thanks for the shared journey...REHOBOTH! Celebrate Easter Presbyterian Seminary Style!